Nowadays, you can find CBD products everywhere. You now see this cannabis-based compound in supplements and tinctures to cosmetics and other skin care products. From being an obscure compound only known to researchers, now you can find products with CBD seal on the shelves of pharmacies, health shops, and vaping outlets, as well as on specialized online stores. Indeed, many industries are scrambling to take advantage of the cannabidiol hype, which analysts estimate to boom further in the coming years. One industry that wants to cash in from this increasingly popular medicinal compound is drinks and beverage. Now you can buy sodas, waters, teas, coffees and sparkling drinks infused with cannabidiol. Some legal changes in the U.S. and Canada open the doors of opportunity to several companies that are currently lining up to launch CBD drinks. Through these products, you get your daily dose of CBD while enjoying your favorite refreshing beverages. Sprig has already cemented its position in the CBD soda industry while Coca-Cola is just making its move for a potential cannabidiol drink launch. Sprig comes in four citrus flavors – naturally sweetened, sugar-free, Melon, and Sparkling Lemon Tea. Each can contain 20mg of all-natural hemp-derived cannabidiol. This CBD drink is a great alternative to drink soda after a tedious workout because of its anti-inflammatory, anti-nausea, and anti-anxiety benefits. Recess is a CBD sparkling water drink that will help you feel calm and composed throughout the day. Recess is made with all-natural ingredients, hemp essence, and adaptogens to improve balance and clarity. This sparkling water has three flavors—peach ginger, blackberry chai, and pom hibiscus—each can contains 10 mg of pure CBD oil. Cannawine is a sweet and sugary Spanish wine infused with hemp-derived CBD. WIth 14.5% alcohol by volume, this red wine with a cannabidiol twist is best served cold. A delicate 50% garnacha and 50% cariñana grapes combination with a subtle scent of cannabis, this drink brings out a new level of vintage with amped up therapeutic properties. CBD’s anxiolytic, antidepressive and antispasmodic properties mixed with red wine’s heart-protecting resveratrol makes this beverage the real treat. Modern technology has increased the bioavailability of CBD in products like Canna Nano. Cannabidiol and other cannabinoids are usually not water soluble. By using nanotechnology, we can now enjoy waters infused with pure CBD. Canna Nano sells its typical CBD water and a “plus” variant containing twice the amount of CBD as their regular version. VYBES is another cannabis-infused beverage with a range of flavors. These sparkling and traditional CBD-infused drinks feature a mixture of that boosting the mind and body. VYBES is also committed to providing full transparency to its customers, allowing them to access their independent lab test results online. Each bottled beverage contains 15mg of hemp-CBD derived. The brand offers traditional peach ginger, strawberry lavender, and blueberry mint, flavors, as well as sparkling maracujá and blackberry ginger drinks. CBDfx sells various hemp-derived products, which include a “chill shot,” containing 20mg of CBD in only 2oz. of liquid. This shot that tastes like lemonade contains full-spectrum CBD and has been tested in laboratories to ensure the standard of its purity. The brand’s chill shot also contains 200mg of L-Theanine, an amino acid that can improve your body’s natural systems that promote immunity, sleep, and stress. 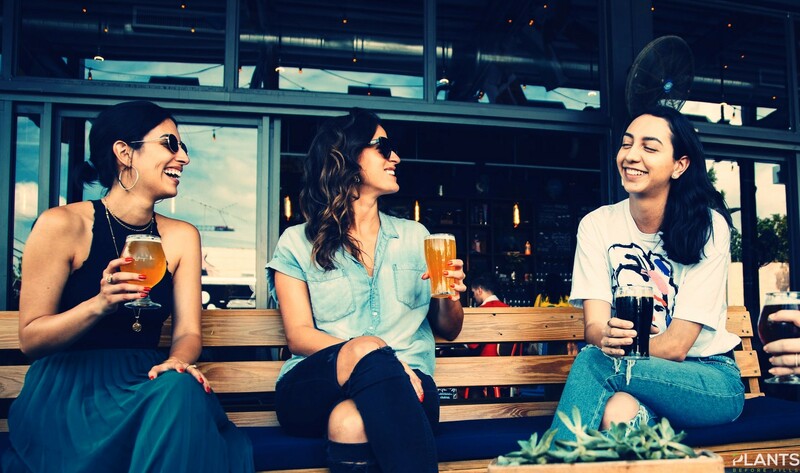 CBD beverages are the next wave of drinks that promote health and wellness to drinkers. These products are more than just a fad; they are a great way to make CBD consumption mainstream and jive with people’s everyday lives.